Allow HFE to quote and manufacture your sign professionally in our large capable workshops. 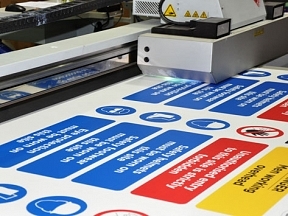 As Sign manufacturers we supply direct and offer the quality you deserve, we also ensure you know all your options and of course HFE prices are one of the best in the industry. 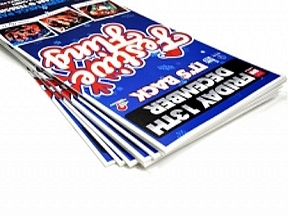 Specialists in bespoke printed rigid signs & advertisin boards. 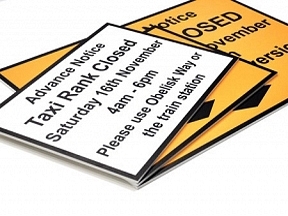 We have everything at hand including more than a decade of expertise to ensure your sign is perfect in every way and ready for delivery in a short time scale. 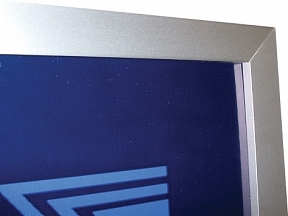 From tempotary short term signs to long lasting all weather signs we have the material to suit. 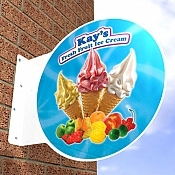 Please click on the images above to find out more about our range of rigid signs, we supply to both the trade and to the end user, ranging from the little old lady who needs a 'Keep Gate Closed' sign to the small to medium sized businesses and manufacturing / engineering companies all the way up to the large multinationals and PLC's. So whatever you need we're confident we can help. We supply advetising boards to sports clubs across the UK delivered in record time at very competitive prices and with our price match policy we won't be beaten on price! 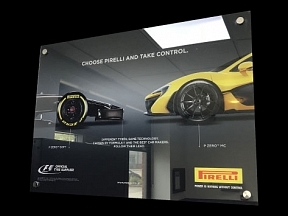 Please look through our range of rigid signs and don't hesitate to contact us with any special requirements where our experianced sales and design team will be waiting to help.